A world class skiing destination, the Rocky Mountains lure many snow enthusiasts. But it doesn't stop there. 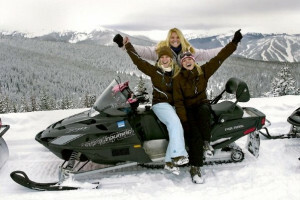 Snowmobiling and snowshoeing are also great ways to enjoy winter near Rocky Mountain National Park. Winter vacation in the Rockies basically means skiing, skiing, and more skiing! This is the ski mecca of the world. There's Aspen, Vail, Steamboat Springs, Snowmass and other big names. And the powder snow is to die for! 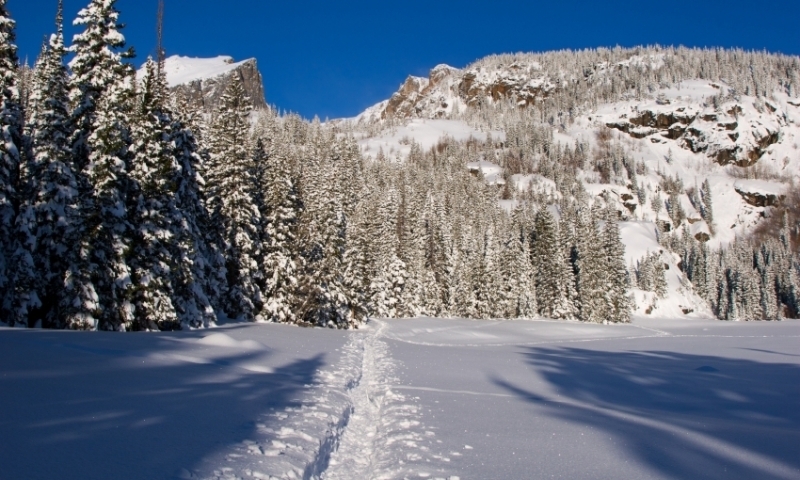 So when planning your next ski vacation, choose the Rocky Mountain area for the best anywhere. Winter is no longer the same when you choose to indulge in a ski vacation in the Rocky Mountain area. There's absolutely world class skiing simply because there's world class powder! For the thrill seekers to the sedate skier, it's all on offer in this breathtaking part of the world. Why ski? Cardiovascular benefits, yes, but also freedom! Solitude! Conviviality! It's adventure for some, peace of mind for others. Many ski for the lyrical quality-the taste of clean air, clear and carrying light, sighing wind, hardwood forests, frozen waterfalls, weathered barns, open prairie, sandstone canyons, alpenglow on snow-mantled peaks, and the miracle of skiing beneath the full moon. More than mere recreation, this is euphoria! A skillful skier is a thing of beauty, moving with fluid power, adjusting tempo and technique to terrain, snow depth, and snow type. But one needn't be an adept; the casual day tripper-even a practiced exercise-evader-can get a kick equal to that of a national-caliber athlete from the season's enchantment. Cross-country skiing is as diverse as the terrain it covers-you can fly over pasture and meadow, meander through the woods, glide up gentle slopes, and carve down hillsides. Where-to-ski options are marvelously varied, but the choices of how to ski are just as gratifying. The diagonal stride, or "classic" technique, is efficient and smooth. Its name comes from the alternate movement of arms and legs-the same movement used in walking but more elongated.